In BREAKit we aim at collecting information from RTOs, universities and industries in order to identify the main needs for creating T-shaped “innovation champions” in the Raw Material sector. And we are doing this through research and consultation with consortium partners and stakeholders in the sector. This means to identify the key skills and knowledge that will provide professionals capable to boost innovations, generate new business ideas and put them in the market. The final purpose of this analysis is to define better the courses the online learning platform will provide as well as the skills the participants will acquire through the learning itinerary. But first, let’s explain the T-shape concept with more detail. 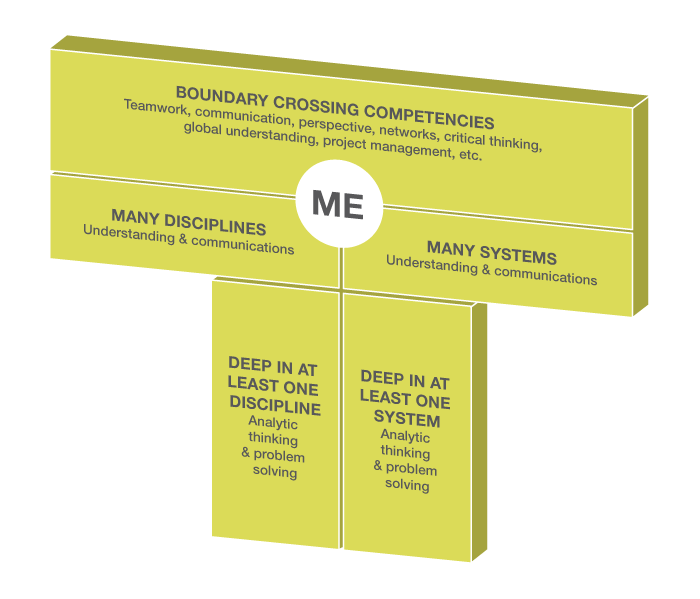 As shown in the picture, T-shaped professionals are characterized by their deep disciplinary knowledge in at least one area, an understanding of systems and their ability to function as “adaptive innovators” and cross the boundaries between disciplines. The vertical bars of the “T” represent the disciplinary specialization and the deep understanding of one system (major services, such as clean energy production, metal recovery processes, or electronic waste recycling) which are comprised of interconnected components of people, technology, and services. But the defining characteristic of the “T-shaped professional” is the horizontal bar, which represents their ability to collaborate across a variety of different disciplines. “T-shaped professionals” are already in high demand for their ability to innovate, build relationships, advance research and strengthen their organizations. These workers build their careers in a globally interconnected and constantly changing world with smarter technologies in an effort to effect positive global change. New systemic innovations in areas of waste reduction, recycling, higher material efficiency and residue utilization. 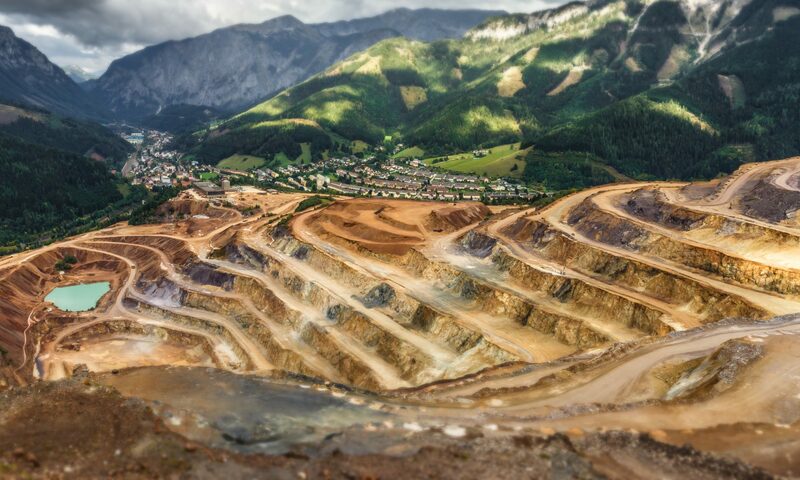 Deep understanding of the raw material system and value chain: mining, recovery, product design, engineering, manufacturing and recycling areas. Holistic understanding and knowhow of the technological, economic and environmental perspectives of the raw material innovation value chain. Low energy material processes, low weight structures, low emissions, zero waste understanding. Innovation capacity: creativity & ideation. Effective collaboration including teamwork skills and capacity to build networks. Prototyping, problem-solving and user-design approach. Effective communication skills including advocacy and persuasion. Do you miss any skill or knowledge that Raw Material researchers need to thrive in the Fourth Industrial Revolution? Previous PostPrevious Engines on! Project launched!